Write-to-disk architectures have their roots in technology from 1987. They don't scale, and can't handle the volume of data in a modern network. Packet capture is an option, not a requirement – Just because ExtraHop uses a streaming architecture, it doesn't mean that we cannot capture the raw packets when necessary. Rather, we make that an option rather than a requirement. 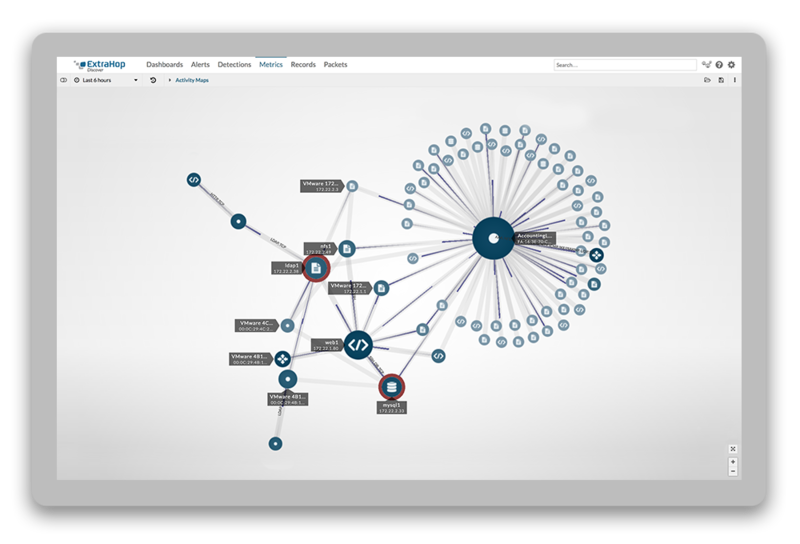 We implemented packet capture in a novel way—we only store packets comprising flows and sessions that are of interest. You can set policies to capture the packets associated with specific events, such as when a user writes to a sensitive storage partition or when a malformed request causes an application error, for example. 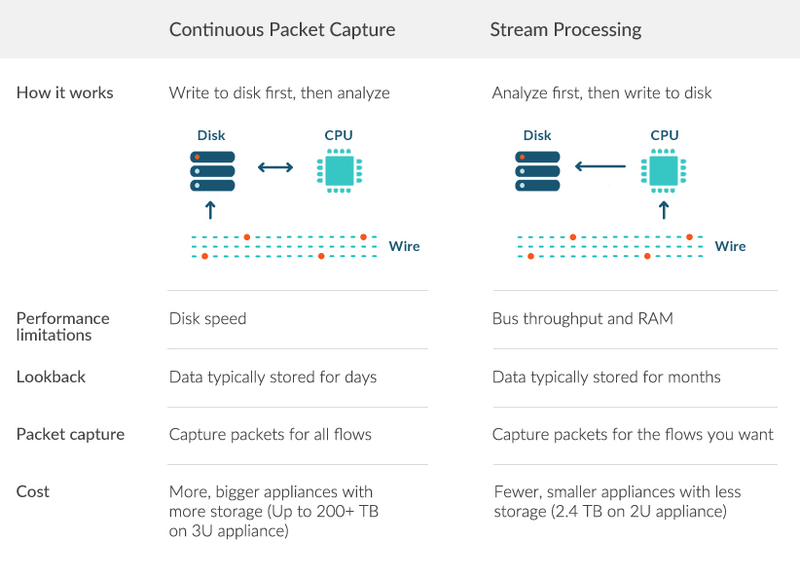 This type of precision packet capture is only possible with a streaming architecture that is reassembling multiple packets into complete flows in real time. Additionally, we've had customers who have made use of our open APIs to store continuous packet captures in inexpensive third-party solutions.